Kazakhstan is not a very popular tourist destination. When it comes to canyons, this is not a first country, that comes to mind. 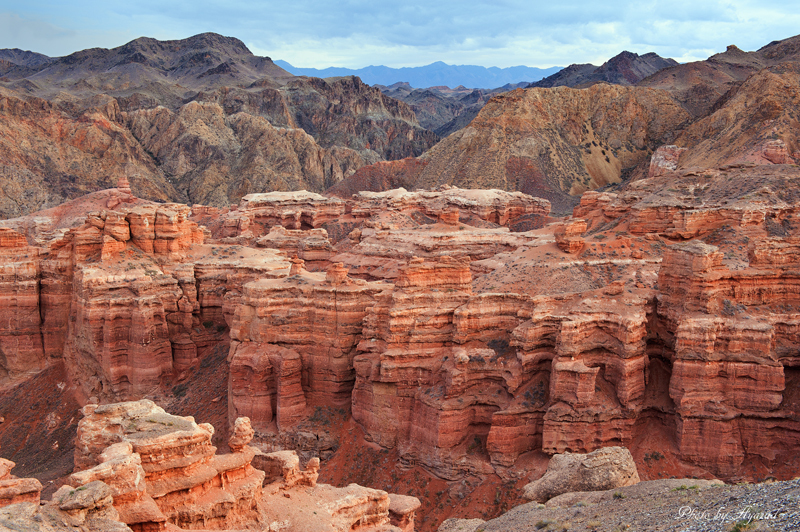 However, Charyn Canyon is worth visiting, if you are travelling nearby. 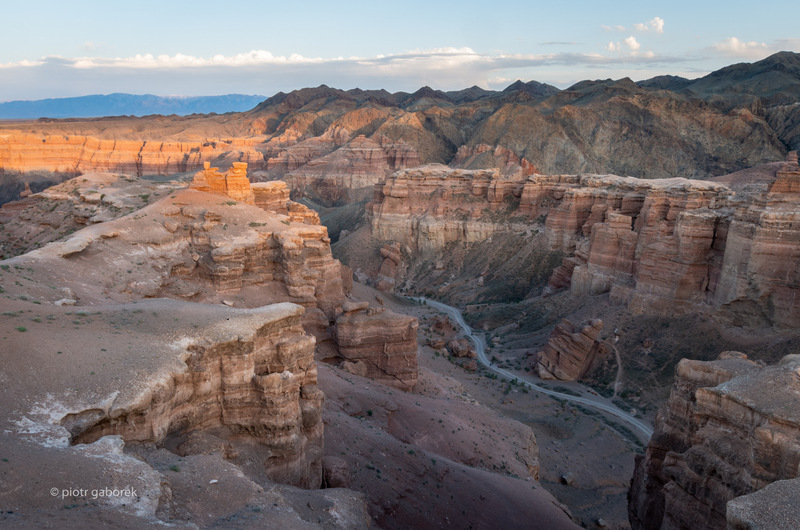 Located 120 miles from the capital Almaty, Charyn Canyon stretches over 50 miles, along the Charyn river. That’s where it takes its name from. Although, the canyon is way smaller, than the Grand Canyon, it is still a magnificent place. 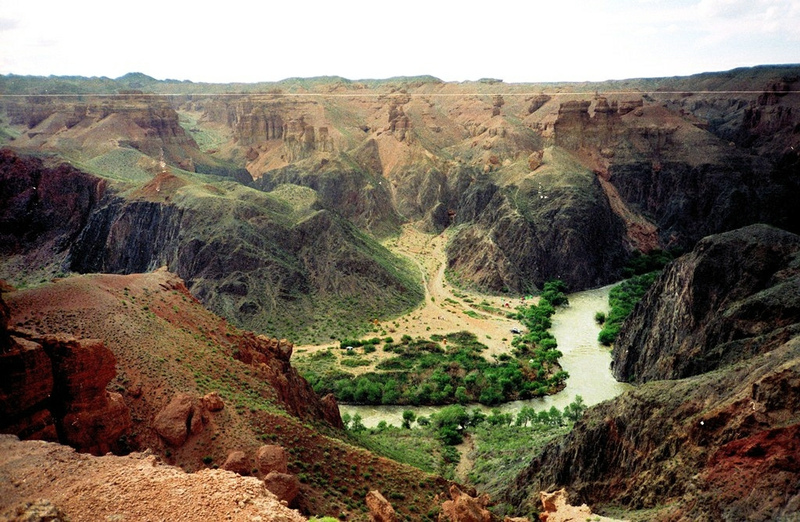 It is thought, that there used to be a large lake on top of the canyon. As millions of years passed, the lake shrank. 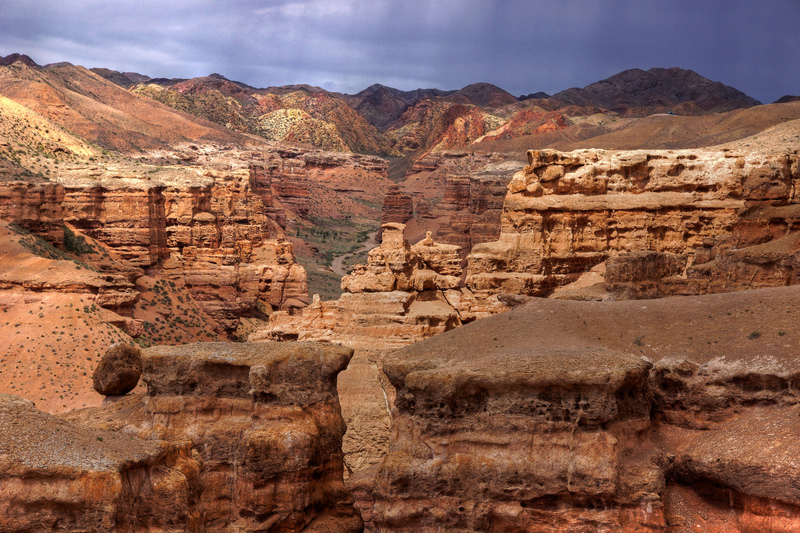 However, Charyn river continued to run through the sedimentary rocks, that are over 12 million years old. The landscapes are breathtaking. Nothing beats the view, when the sun is going down and paints the canyon in shades of red and orange. 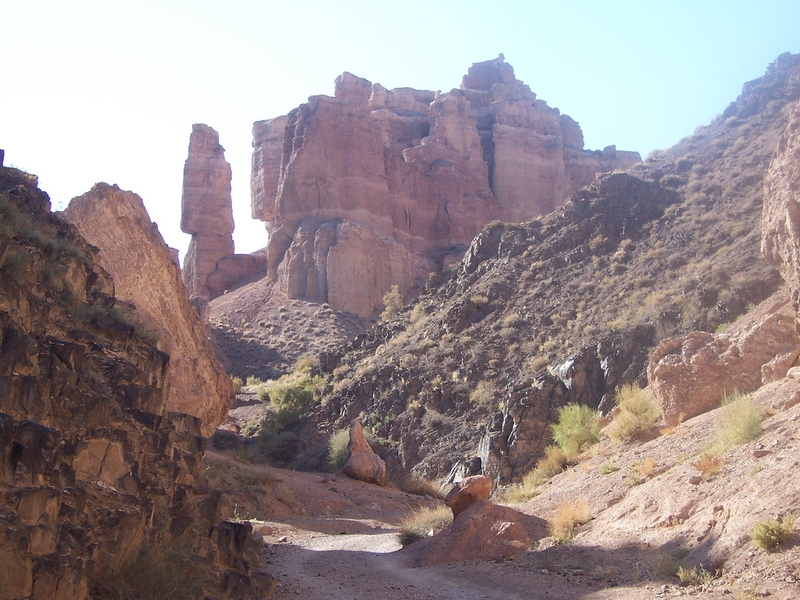 Today, couple mile long path, takes visitors to the Charyn river, which flows at the bottom of the canyon. The stairs, that descend down to the gravel path, lead to the Valley of Castles. Tourists walk through beautiful rock formations, that are reminiscent of an ancient castles and towers. It is a not a walk in a park, but still an easy route. However, what needs to be considered when visiting the canyon, is the weather. Visitors should be prepared to walk in the heat, stay hydrated and wear sunscreen. It may not be as grandiose as the Grand Canyon, but it’s still a beautiful area to explore. Whether it’ll be for just a few hours or an overnight camping trip, Charyn Canyon will not disappoint.